A funny thing happened on my way to the Rhizome sometimes last year … the hashtag got switched. Now, normally, this would not be a big issue. But I have come to realize more and more how much I rely on the columns of my Tweetdeck app (sorted by hashtags) as a place to keep connected to various projects. So, when someone switches a conversation from one hashtag (say, #rhizo16) to another (say, #resilience16), I suddenly feel disorientated. Lost. And I depend on the kindness of strangers. A few rhizo folks had made some initial tweets with both hashtags (which is quite generous because together, they take up a good portion of the 140 characters to begin with, you know?). In the end, in an ironic twist, neither took hold, and there was no Rhizo16. To be fair, it had nothing to do with hashtags, as far as I can tell. It’s happening again right now for me, with National Poetry Writing Month. Do I use the new hashtag #GloPoWriMo (for GLOBAL Poetry Writing Month? Or do I use the old one #NaPoWriMo?). I have been using the GloPoWriMo because I like the concept of the world as writers of poetry. But I often think, what’s going on with NaNoWriMo and who decided, let’s shift to something new? Still, the experience had me thinking of the concept of common hashtags in terms of the theme of resilience anyway because I know this is how I stay connected to an online course, or mooc, or activity, or movement, or whatever it was over time. I’ve just added a second column for Networked Narratives, as an example, as that class moves into another project phase with a new hashtag. All this shuffling and worrying about lost contact also reminds me of the importance of naming a hashtag at the start. Add a year designation and suddenly, the clock is ticking on its timelessness. Make the hashtag murky with lettering and it becomes a meaningless jumble of the alphabet. Make it too short or too common, and other problems crop up. I’ve noticed, for example, the #NWP hashtag (for National Writing Project) sometimes gets accidentally intruded upon by some music sharing tag. So suddenly, there will be a wave of posts that veer away from teaching and writing and into something completely different. It’s disorientating, in an intriguing way. Maybe we are the intruders on their hashtag, not the other way around, right? 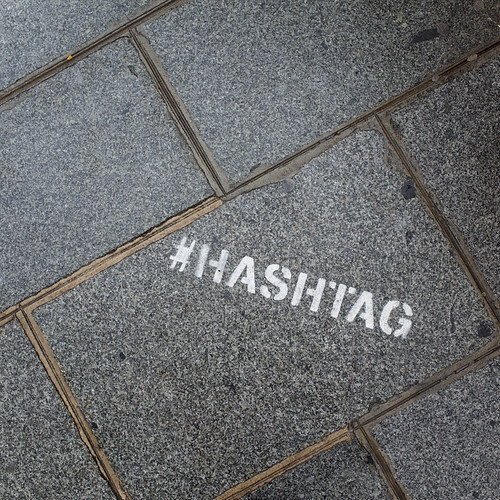 Or maybe the hashtag becomes an impromptu shared space. Then, there are the hashtags-within-hashtags, which can take on a life of their own. For example, within the #CLMOOC hashtag, there is a #SilentSunday hashtag. #CLMOOC represents the echoes of the Making Learning Connected MOOC while #SilentSunday is an activity of sharing an image with not context each Sunday (although, it too, is shared with other people doing other kinds of Silent Sunday-ing). It began as an activity in the CLMOOC but now has its own orbit, living on long after the CLMOOC summer ended. Of course, some people use fake/invented/momentary hashtags to make a joke or a point about something or to note sarcasm or take a political stance. #ImwithHer #techquity The Trump Presidency has given rise to this witty art form, using hashtags as social commentary and political action. Trump, of course, invents his own. And I had never thought too deeply until now about how hashtags are at the very core of our social interactions on Twitter, and now on other social networking platforms, too. Like “tags” in photos or blog posts, hashtags are connectors that make the Internet a social gathering space. Without hashtags, we might as well be yelling into deep space. With hashtags, we have the possibility to connect. This entry was posted in Making Learning Connected MOOC, NetNarr, RhizoLearning, Technology Resources. Bookmark the permalink. There are a number of points I’d love to dig into a little further, but I wonder if I could first ask about hashtags being the “connectors that make the Internet a social gathering space”? Would I be right in thinking hashtags are consequently relatively passive things? They’re the wires between the active parts of a circuit for example? Or are they more a kind of static placemarker; a meeting point around which people with a shared interest gather? Or are they more active than that and actually encourage(?) folks to do stuff? I’d be interested to read your thoughts when you’ve a moment. 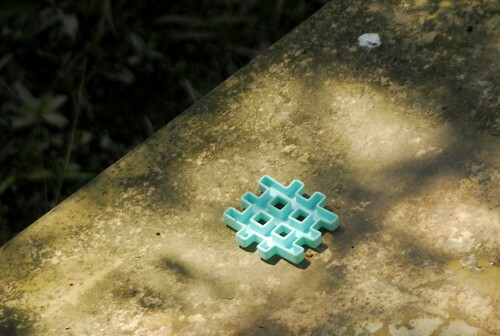 I am not sure about the assumption of hashtags as passive elements of social spaces. It seems like characters (additional letters, numbers, etc.) can get added, as a way to move off the main hub (for smaller networks with the network? ), or they dissolve away when the time has passed. But yes, they are connector points. Or so I think. Do they encourage folks to do things, or to become more engaged? I guess it depends on the ethos of the network behind the hashtag. Some are passive (ie, the visitor wonders what others are doing and making). Some are active (ie. the visitor becomes the maker). What I wonder about is, who comes up with the hashtag that others want to use? Is there a hashtag cemetery somewhere, where all of the lost ones go? It seems like you’re suggesting a sort of hashtag life-cycle? Someone creates or gives birth to one, which then enjoys some time growing, possibly developing, but without being nurtured, they “dissolve” (disappear? decay? … die?). 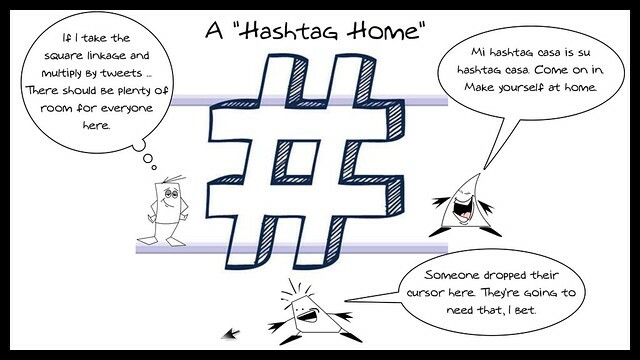 Or possibly there’s a symbiotic relationship between hashtag and users. If the users don’t maintain the hashtag, it gradually fades from view. If the hashtag gets ‘broken’ (by mutating), then the connections between people are severed too? One needs the other? Like you, I too wonder about those who bring hashtags into the world. Are they the ones with artistic flair, crafting nous, or are simply so well-connected, whatever they do is more likely to get distributed and adopted?